The pharmaceutical supply chain requires special attention and care in today’s regulatory and consumer environment. 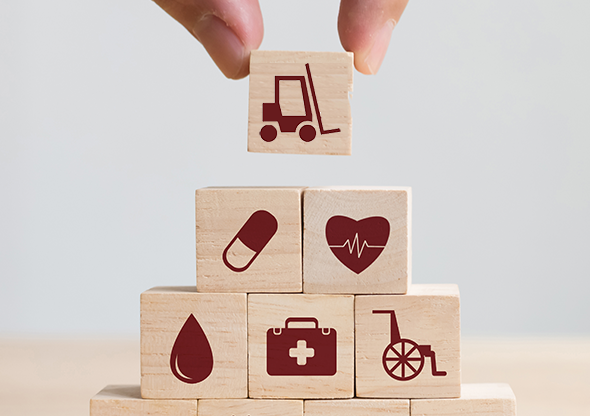 By developing a solid plan of action for their logistics, shippers can effectively meet and exceed these requirements while keeping the end patient as their focal point. The pharmaceutical supply chain requires special care and attention, not the least of which should be focused on the ultimate patient who relies on the medicines for healing, recovery, and to maintain his or her overall wellbeing and quality of life. This places some pretty heavy responsibility onto the pharma supply chain, where products must be transported safely and kept at a specific temperature all while meeting regulatory, providers’ and patients’ demands. The growth of temperature-controlled products is continuing at more than double the rate of non-temperature-controlled products, indicating that the cold chain business in biopharma will continue to grow at a healthy pace. According to the Biopharma Cold Chain Sourcebook, the pharma cold-chain logistics will be worth $16.6 billion by 2021 (up from $13.4 billion in 2017). The industry is growing at a rate of 5-6% annually, with the value of shipped temperature-controlled pharmaceuticals growing at a rate of 10.7% annually. Zervas, whose young son relies on myriad different medicines to maintain his wellbeing and quality of life, says pharma shippers run in to the biggest supply chain challenges on the carrier front, where figuring out which ones can and cannot perform up to standards can be a major challenge. Add the driver shorter and capacity crunch to the equation and the issue exacerbates even further. “These are just the realities of transportation right now, and they require a good, hard look at which carriers are actually capable of performing,” says Zervas. Through an auditing process, for example, DB Schenker ensures that the transportation providers have the right processes in place and that they can perform the transport within the shipper’s parameters. Carrier performance and infrastructure. Carefully audit the carrier’s performance capabilities and that of its transportation network (e.g., the coolers and controlled room temperature zones at various airports or ports). Consider whether ports have sufficient outlets and/or research containers, for example, and ensure that they align with your company’s needs. Local regulatory requirements.Trace the requirements from origin to destination to make sure you’re not missing anything. “We see a lot of shipments held up at customs due to missing paperwork and product identifications (on the label),” says Zervas, who tells pharma companies to pay close attention to all local, federal, and/or country regulatory requirements (or, work with a logistics provider that will handle this for you). Contingency planning. Devised for an outcome other than the usual or expected plan, contingency planning is a commonly-used risk management tool that helps shippers better control their supply chain activities. A pharma manufacturer that regularly uses a carrier that’s been ground by aviation authorities, for example, would turn to its contingency plan to quickly reallocate those shipments to Carrier B.